Year 9 presented Change for a Tenner, a fantastic concept. Small groups set themselves up as company with a role for each member, from managing director through to accountant and, of course, workers. 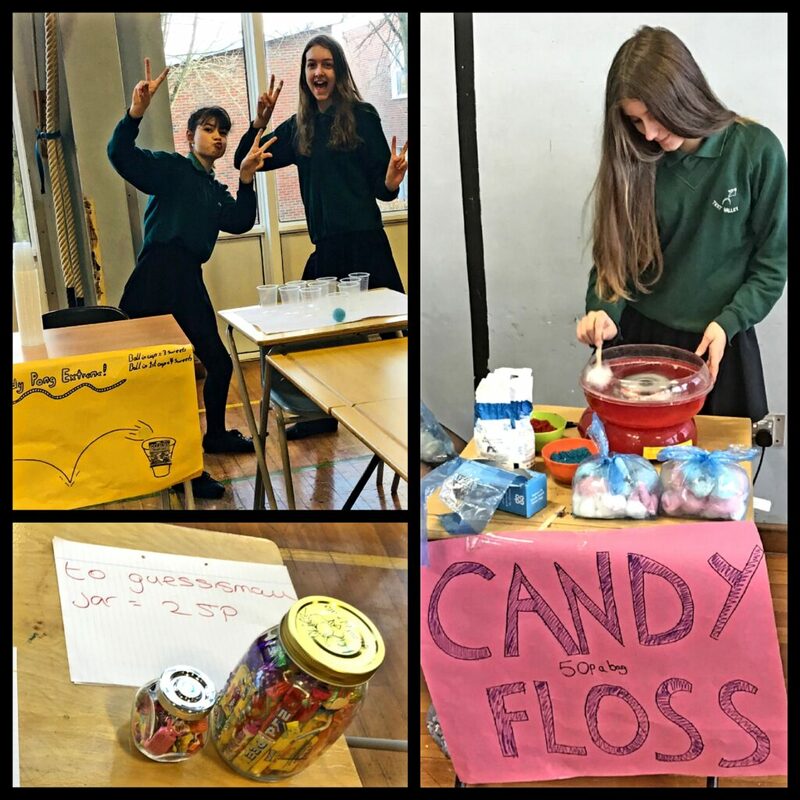 Each group is given £10 to invest in stock to support their concept, an allotted time slot and space at their fair. They then set out to make more money for charity. Prior to the day, groups plan and discuss outline concepts. During the day board meetings are held to plan their strategies and ensure their business plan and costings are all recorded. Some ideas work and some do not. 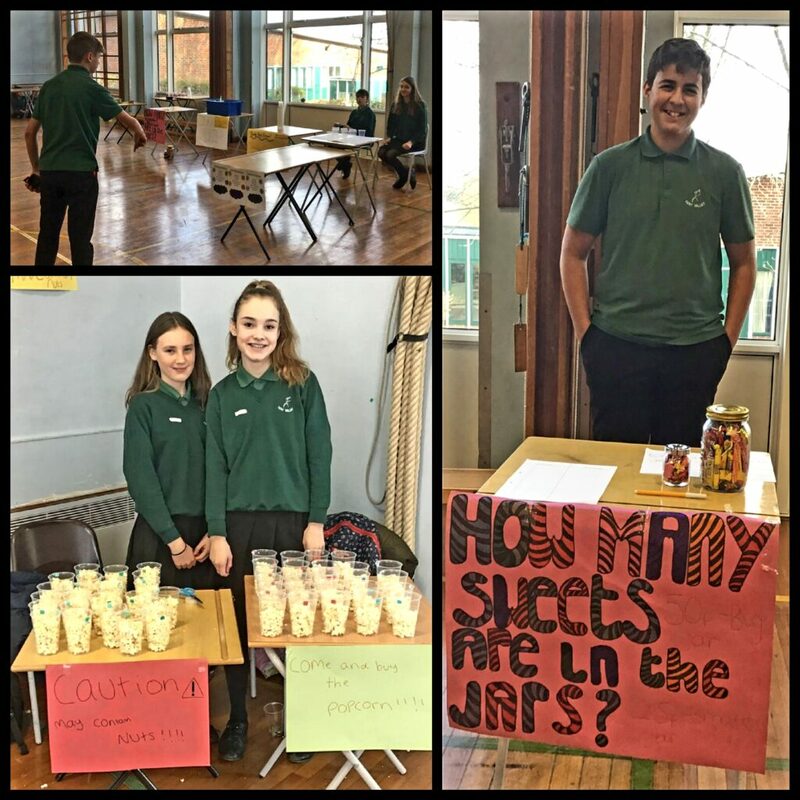 The range of ideas and creativity was outstanding, from pupils who had clearly spent a lot of time constructing or baking at home, to groups who put some serious thought into presentation and the obvious attraction they could draw in. Tutor-group 9G won the day, thanks in part to a particularly enterprising group who took prior orders to cook and sell pizzas on the day. This group made £28.95p. Mr Langdown would like to congratulate the whole of Year 9 who rose to the occasion and worked very hard throughout the whole event. Year 11 pupils took part in Millinery Magic – our annual fashion show, designed as an enterprise activity. Pupils worked in teams as the managers of a business company. The purpose ofthe activity is for pupils to gain an understanding and appreciation of how businesses have to work within a competitive and collaborative market. As the title suggests the chosen business revolves around the fashion industry and transforming existing hats and recycled materials into more creative, attractive and fashionable headgear. As well as designing their hats, teams had to write a business plan and a finance plan and meet with a business manager to talk through their proposal. The day culminated with a fashion parade to promote their own company’s products. Year 7 pupils reflected on sense of self, body image, racism and unwritten rules. Year 8 pupils had a Democracy Day where they learned about the voting system. Year 10 pupils discussed relationships, which included deep dives into gender stereotypes, online relationships and inappropriate relationships.